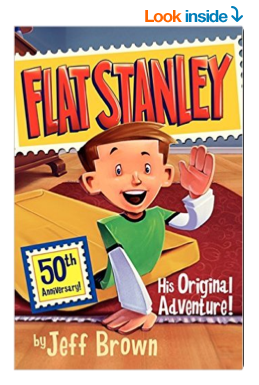 Flat Stanley started as a character in a book back in 1964. After being accidentally flattened by a bulletin board, Stanley traveled by mail. 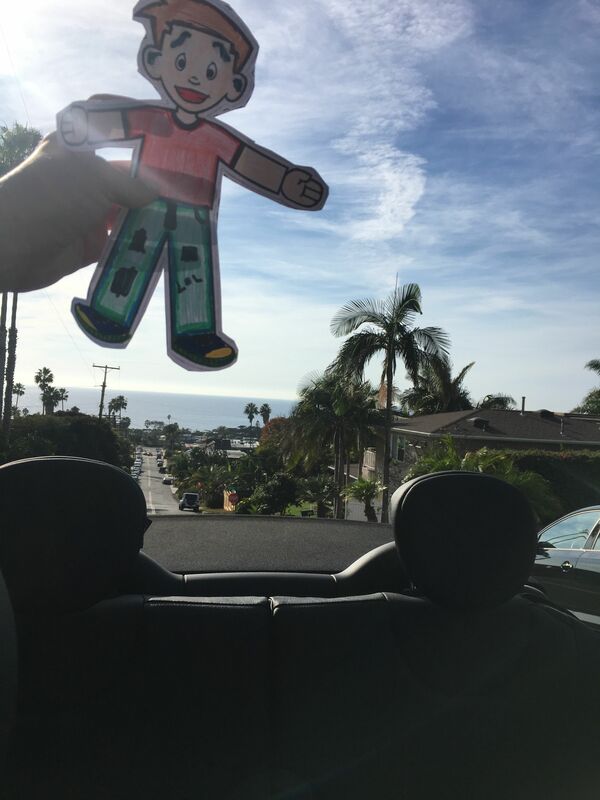 In 1995 thanks to a Canadian elementary teacher Flat Stanley started to travel outside of his book adventures. 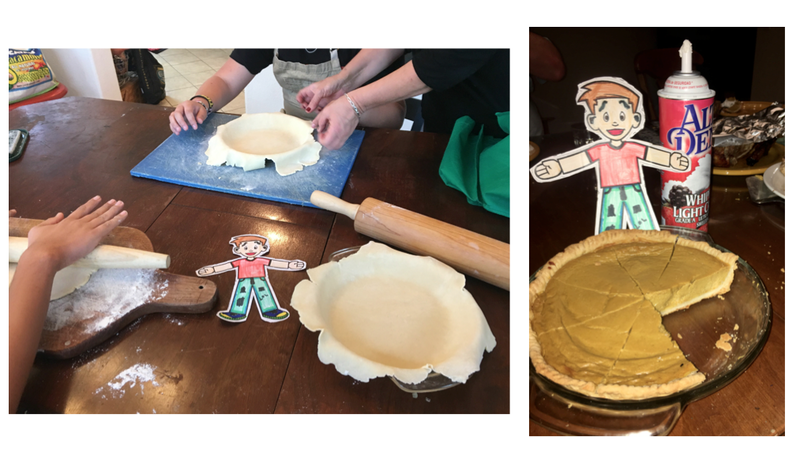 This thanksgiving holiday, I was lucky enough to host Flat Stanley from his home with Emma at St. Ann School in Metairie, LA. He traveled by mail to visit me in Southern California. 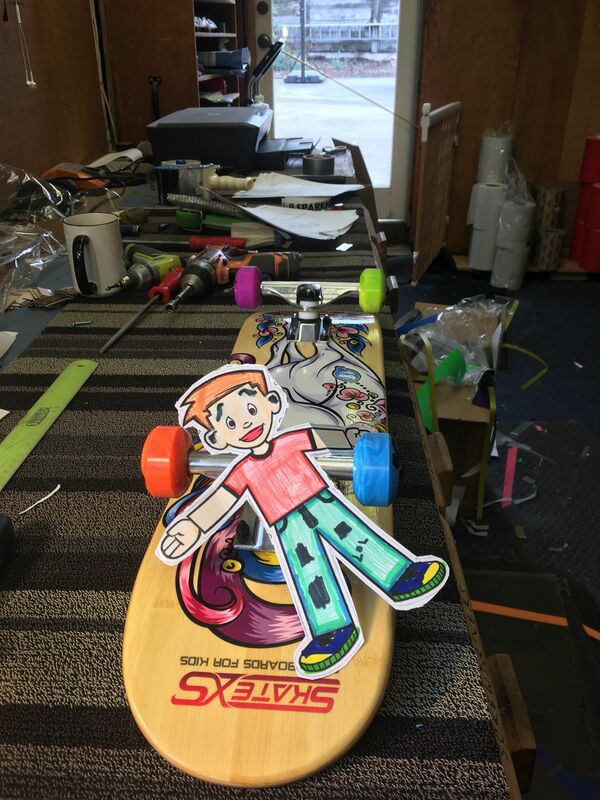 To me what’s important about Flat Stanley is that he tries new things all the time. Rather than see his flatness as a limitation, he sees it as an opportunity to try new things. 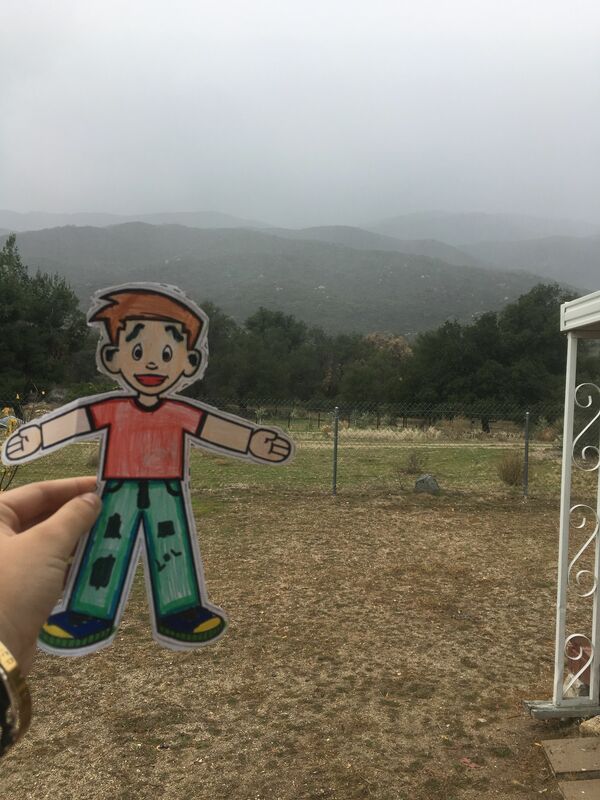 This is what Flat Stanley tried on his adventure to Southern California. He drove in a mini with the top down or at least until the rain came. He baked pumpkin pies with the ladies. Then helped serve pumpkin pie during thanksgiving dinner. After a Twilight movie marathon; he’s Team Edward. He traveled north to visit a Grandma. He did not like the rain but he enjoyed the mountain views. He decided to make a little girl’s Christmas dream come true by getting her a skateboard. He didn’t have enough money so he had to work in the shop. 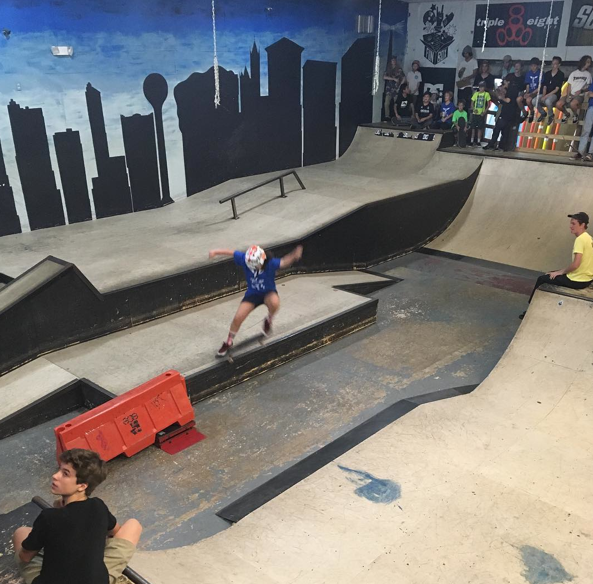 He liked the SkateXS crew and appreciated them training both himself & me. When he gets back home, he hopes to learn how to skateboard with Emma. 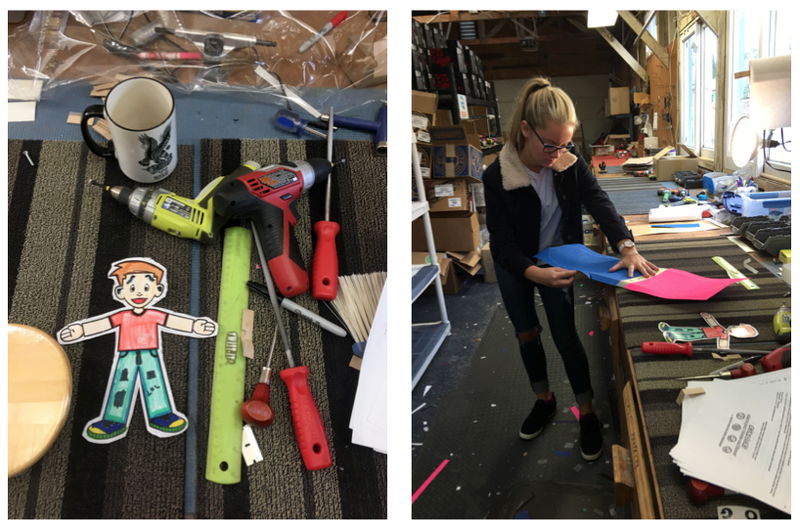 I remember when I did my Flat Stanley project, he went to Boston. Christina did such a wonderful job on that; I was super excited to now be a Flat Stanley host. This holiday season try to remember all the people who’ve done thoughtful things for you and then pay it forward. That’s how kindness grows. 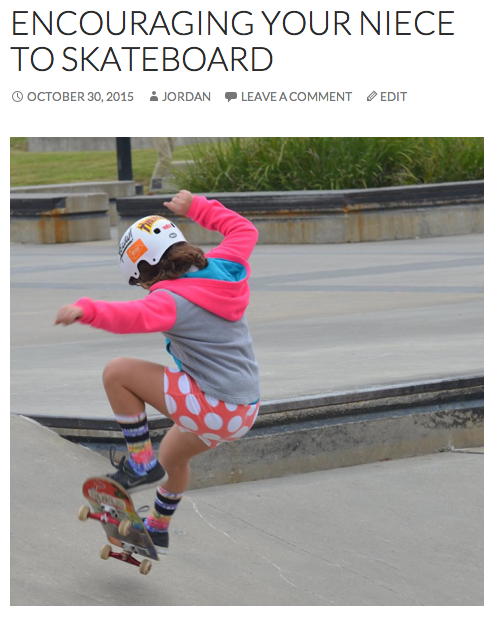 Yes – this blog is about encouraging girls to skate because it’s a myth that only boys skateboard. And it’s a myth that girls have to skate with girls and boys with boys – we are all people and the world is a better place when we live together & lift each other up. Above acskates aka Anna Claire skating. Thanks Anna Claire for sharing – thanks to the contest for being co-ed and thanks to Anna Claire’s aunt – Gail. She first introduced me to Anna Claire and now keeps me posted on her progress. Supporting family, friends, others is always in style on & off the board – thanks again Gail. ___alyy_ shared this fall photo from Louisiana – maybe it’s because I live in Souther California that I want so much to take a skate and see all the colors of fall. 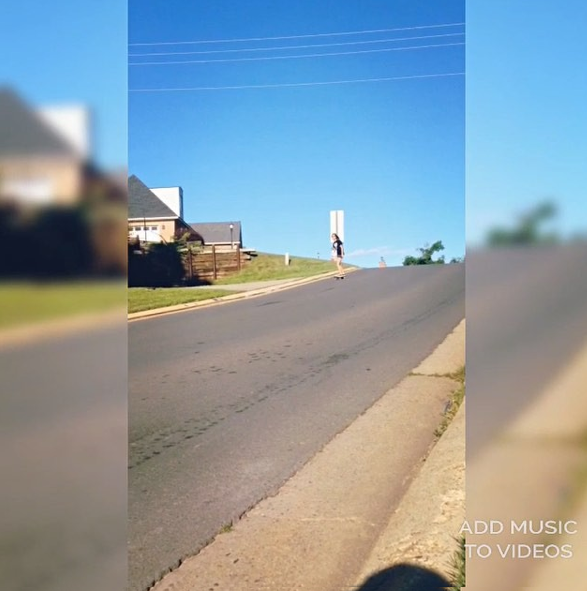 Now that it’s spring alyy shares this video of her bombing hills. 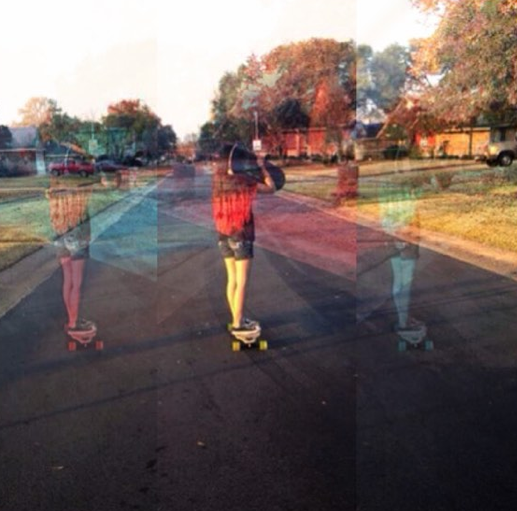 If you live somewhere with seasons – what is your favorite season to skate in? 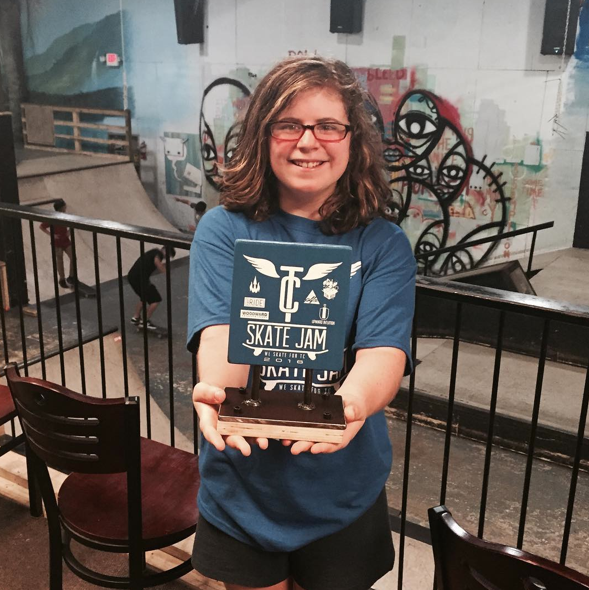 This picture is of Anna-Claire kicking but at the #BREC Ride ‘N’ Roll skateboarding competition – so glad Gail Suberbielle takes the time to encourage her niece & then share this so other girls can be inspired to skateboard. #BREC is a park in Baton Rouge Louisiana 52.2 Acres for Extreme Sports fans. 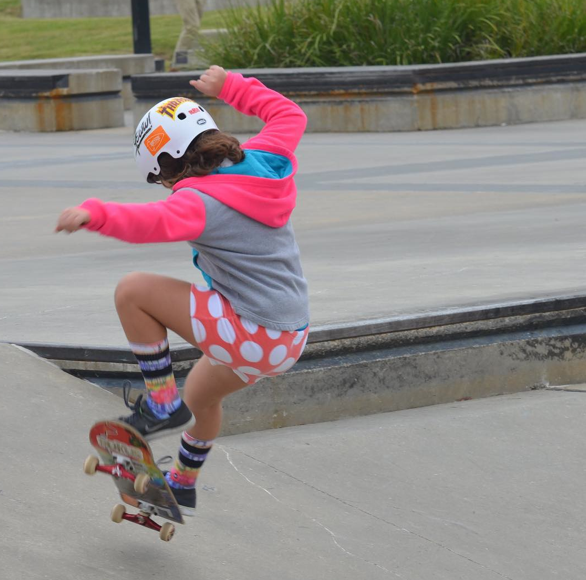 I hope we see more of Anna-Claire and other girls because more girls skateboard when they see girls having fun skateboarding. And all girls are stronger when we encourage each other!